With less than 2 months to go before the Biggest Doctor event for FP’s in the Western Cape, we don’t want you to miss it! 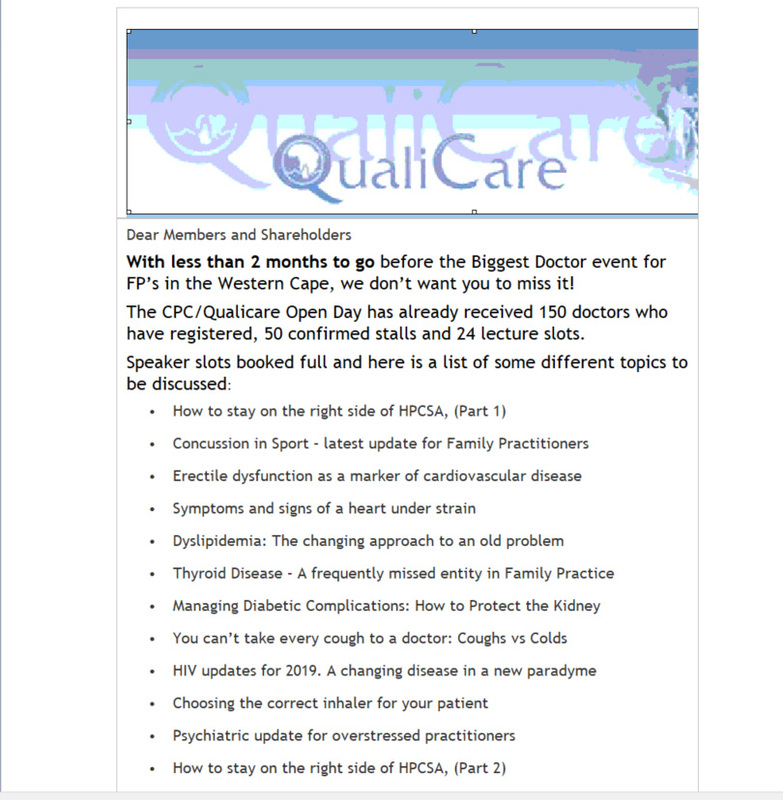 The CPC/Qualicare Open Day has already received 150 doctors who have registered, 50 confirmed stalls and 24 lecture slots. Polycystic Ovarian Syndrome and Metabolic Syndrome.